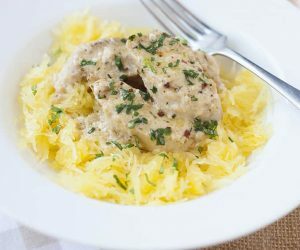 If you are looking for a delicious way to eat spaghetti squash, don’t miss out on today’s recipe, delicious garlic butter chicken with spaghetti squash! I love spaghetti squash but I have to admit that I often get stuck in a rut where I either eat it with my favorite Bolognese sauce or with a little butter and salt. Pretty plain, right? It’s time to up the ante on this very versatile squash, once that is often overlooked simply because cooking it can seem like a bit of a burden. Cooking spaghetti squash is not difficult since it can be cooked in a few different ways. As a matter of fact, check out this quick video on how easy it is to cook in the microwave, in the oven, or in the slow cooker. Watch how easy this recipe comes together! Another reason I like eating spaghetti squash is that I can cook it ahead of time, shred it to get the meat out, and keep it in the fridge for a few days. 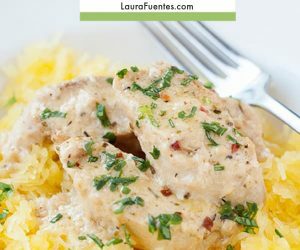 At dinnertime, all I have to do is prepare the chicken portion of this dish, heat up the spaghetti squash, and serve. 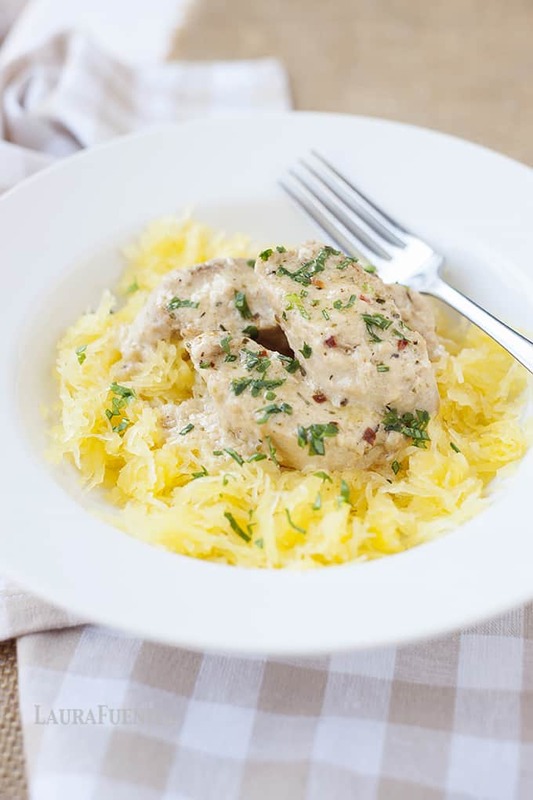 You can find more easy dinner ideas here, after you try this spaghetti squash recipe! This recipe is just like the ones in my third cookbook, The Best Grain-Free Family Meals on the Planet. 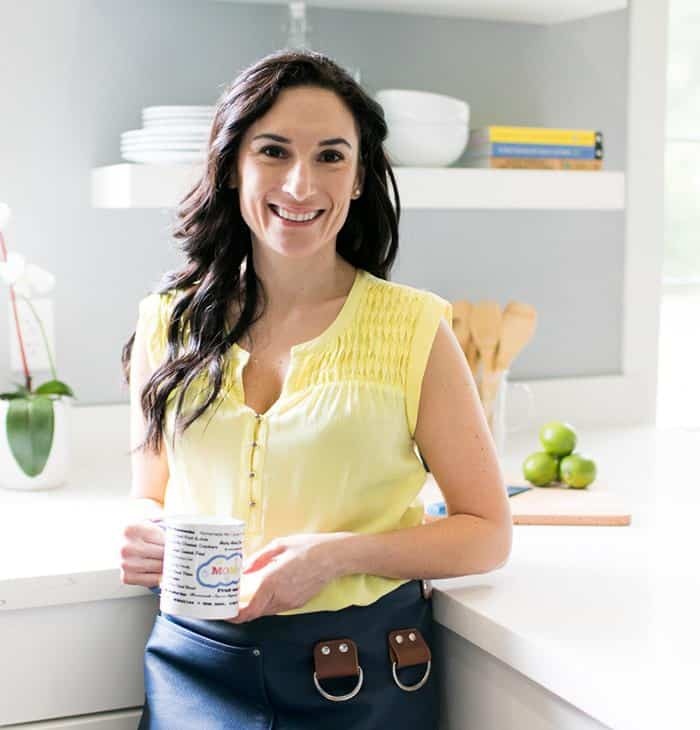 The recipes in the book are naturally gluten and grain free and suitable for everyone who just loves really good food. 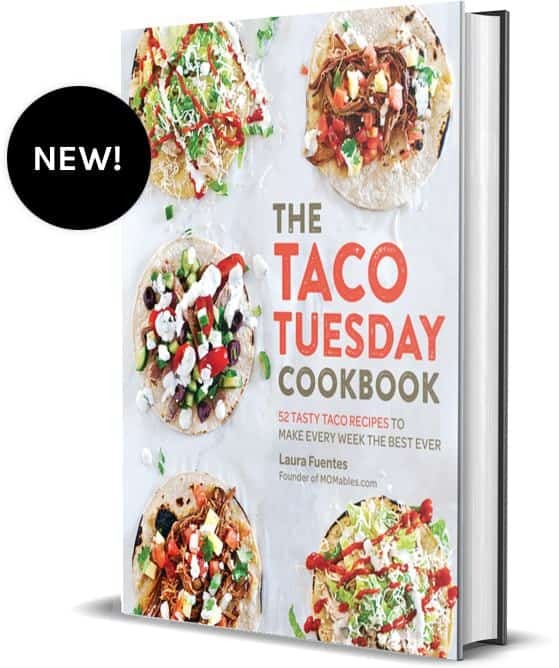 Honestly, I would eat out of that book on a daily basis; and between us, I published it as a way to pass on my family’s favorite real-food recipes. Once the spaghetti squash is cooked, the entire dish comes together quickly in a large pan, which is something I love due to its minimal cleanup. 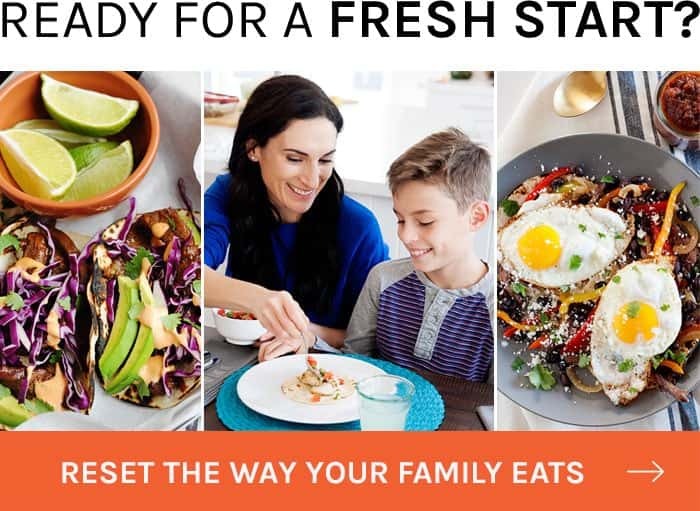 While we’re talking grain-free, healthy family meals, I had to take a minute to share with you about the Family KickStart Program. 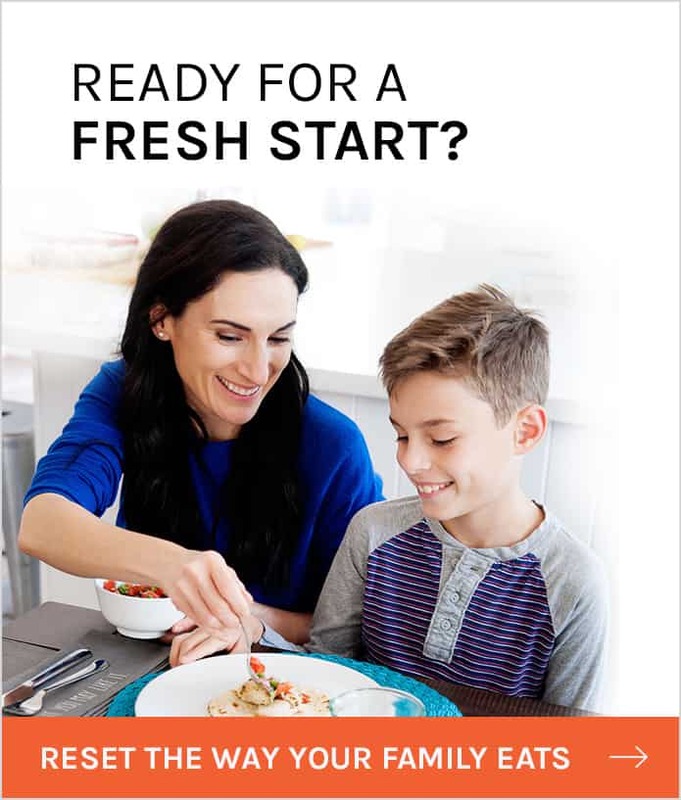 It’s a brand-new program I created with a whole-family approach to eating fresh foods. 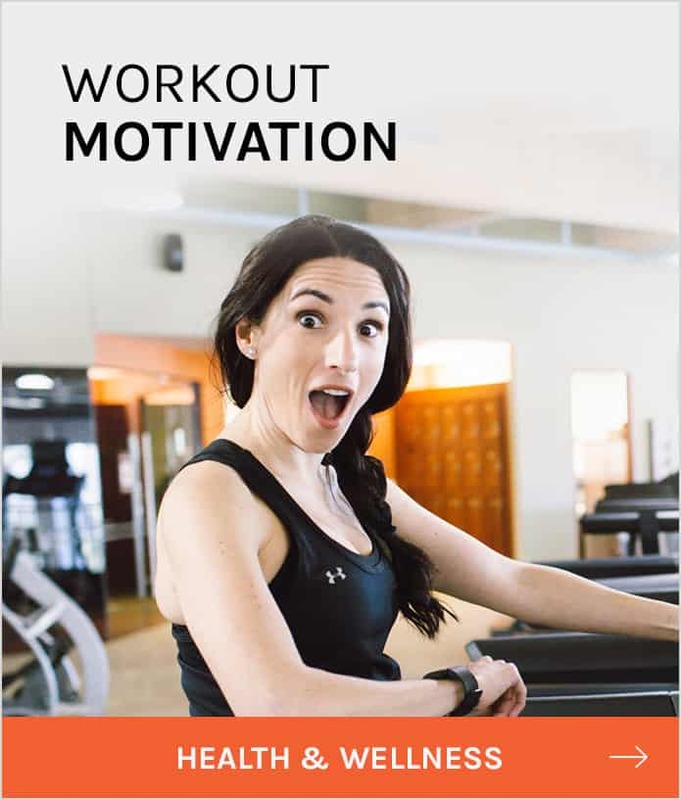 In it, I give you meal plans, grocery lists, food swap ideas and more than 50 amazing recipes. Using this program, you can finally eliminate processed foods and sugars from your diet as a family! 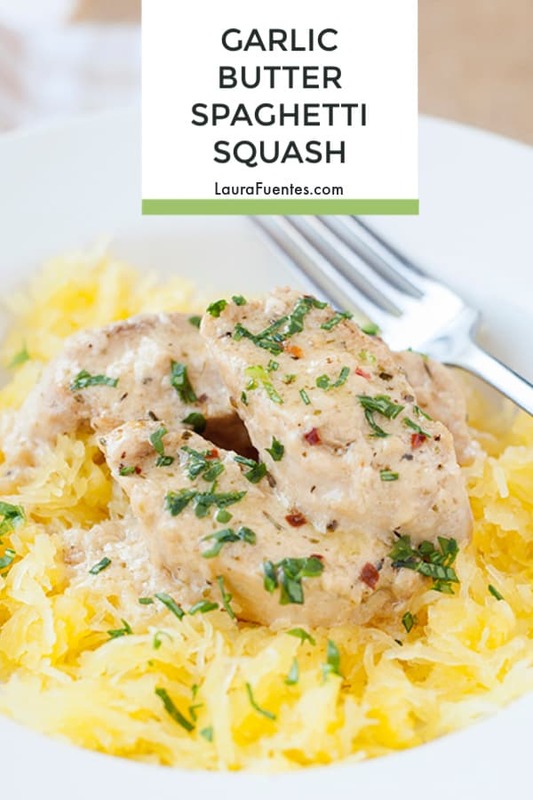 This Garlic Butter Chicken with Spaghetti Squash isn’t on the plan but there is an AMAZING Lasagna Stuffed Spaghetti Squash Boats recipe that you will love! See more about Family KickStart here. What’s your favorite way of eating spaghetti squash? This Chicken Spaghetti Squash Recipe is made with the most delicious garlic butter sauce. It will easily become a new family favorite from the first bite! Cook spaghetti squash until tender. Check out this video to see 3 easy methods to cook your spaghetti squash. 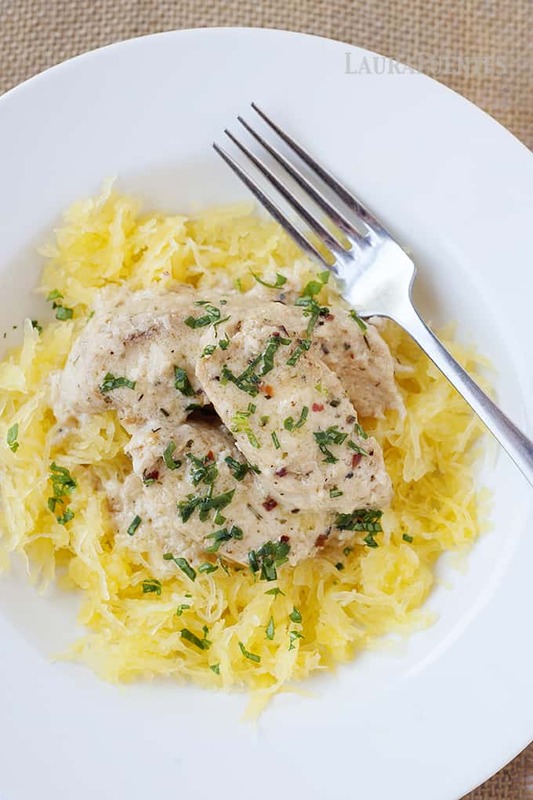 While your spaghetti squash is cooking, season chicken breasts with 1 tablespoon Italian seasoning, salt, and pepper. On a large skillet, heat up 1 tablespoon of olive oil. Add chicken breasts and cook, flipping once, until cooked through, about 5 minutes per side. Add lemon juice, let it bubble, turn off the heat, remove chicken from skillet onto a cutting board, slice diagonally, and set aside. To the same large skillet over medium-high heat, melt butter, add garlic, and cook, stirring constantly for about one minute, until the garlic is fragrant and heated through. Slowly, add in half and half, 1 teaspoon Italian seasoning, and red pepper flakes. Stir in the Parmesan cheese and stir until the mixture has slightly thickened. Cook, stirring constantly, until everything is incorporated into a sauce. Bring chicken back into the skillet or large pan, turn heat to simmer (lowest heat setting) and heat the chicken through. With a fork, scrape the squash meat off each half into a large bowl or directly onto 4 plates. Top with chicken and lemon-garlic sauce, sprinkle with fresh parsley, and serve. If you don’t have spaghetti squash, you can serve this recipe over regular or gluten-free pasta. My family loved it though the sauce was kind of curdled. Just made this tonight and it tastes delicious! I’m so glad you enjoyed it Roxane!